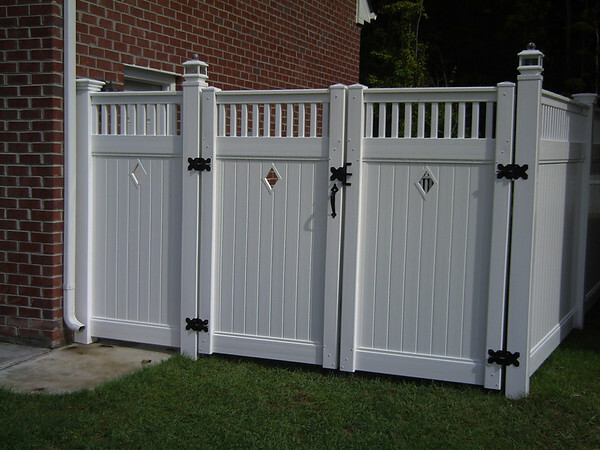 HORIZON FENCE WAS ESTABLISHED IN 1978 BY JAMES "SKEETER" SAMS III AFTER BEING A FOREMAN FOR CHAMPION FENCE AND HERCULES FENCE AND A SUBCONTRACTOR FOR VARIOUS COMPANIES AND MONTGOMERY WARD. I HAVE MANY, MANY MILES OF FENCE EXPERIENCE IN CHAIN LINK. CUSTOM WOOD IN RED CEDAR AND TREATED PINE, ORNAMENTAL ALUMINUM, VINYL PRIVACY AND PICKET AND MANY DECKS. I HAVE COMPLETED OVER 10 MILES OF VINYL FENCE ALONE. SERVING VIRGINIA BEACH, CHESAPEAKE, SUFFOLK, NORFOLK, PORTSMOUTH, SMITHFIELD AND NORTHEAST NORTH CAROLINA. CALL 757 340-7705 OR 757 718-8856 FOR FREE NO OBLIGATION QUOTE. 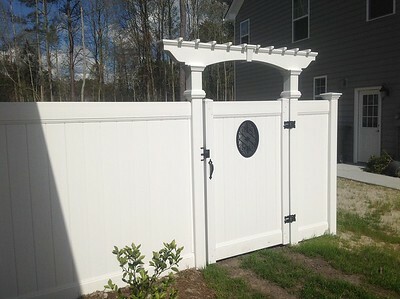 LOWER THAN AVERAGE PRICES, QUALITY MADE IN USA MATERIALS AND EXPERT WORKMANSHIP ARE COMMON THEMES ON ALL MY JOBS. STATE AND CITY LICENSED AND INSURED.I GET FENCE PERMITS IF NECESSARY. CLICK ON THE GALLERIES BELOW THE SLIDESHOW TO VIEW A SMALL SAMPLE OF MY COMPLETED JOBS.